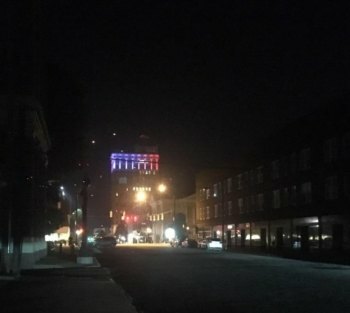 A fire at a former law office caused a partial blackout of power in a portion of downtown Huntington Saturday evening, June 2, about 9:15 p.m. The structure once housed Marcella Law has been a gathering spot for the homeless. Fire Chief Jan Rader indicated that power was cut to about 1,800 customers at the height of the blaze when it threatened to catch power lines on fire. The West Virginia State Police , Ceredo Fire Department, HFD, and HPD responded. Early Saturday morning, an abandoned house in Guyandotte burned at 610 S. High Street.